Chandra Brown is the Deputy Assistant Secretary of Commerce for Manufacturing. 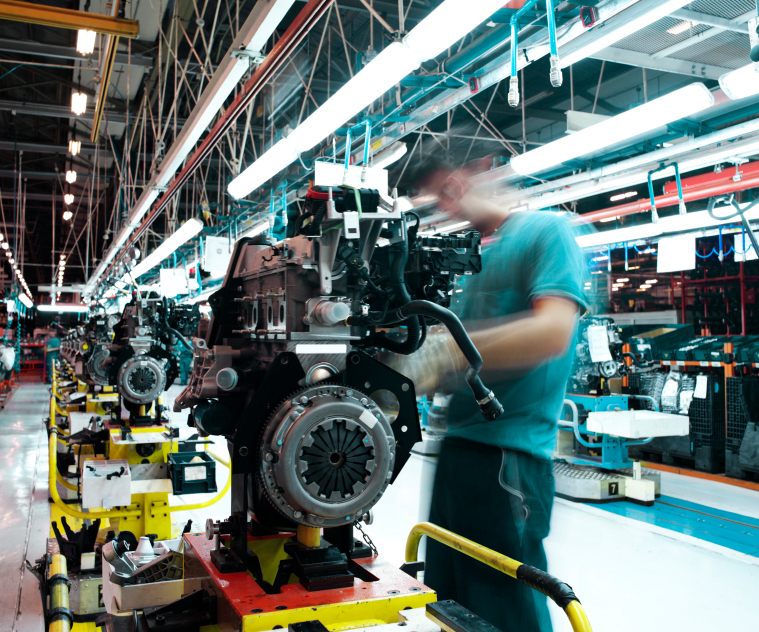 Manufacturing supports 17.4 million U.S. jobs. There are more than 1,500 Manufacturing Day events taking place across the country today, highlighting the importance of the manufacturing industry to the U.S. economy, American jobs, and to global innovation. I am in Tampa, Florida, to tour three manufacturing facilities and meet the local manufacturing community. I will visit these businesses today with Sandra Campbell of Tampa’s Export Assistance Center, and we’ll join students, teachers, parents, job seekers and other local community members at open houses designed to showcase the innovation taking place in modern manufacturing and the professional opportunities that are available in the industry. Touring manufacturing facilities, discovering their amazing abilities, and meeting the next generation of manufacturers are always the best parts of my job! Microlumen is a major producer of surgical quality heart tubing and a major exporter: microlumen.com. Southern Manufacturing Technologies is a leader in precision machined components and assemblies primarily for the aviation and aerospace industry: smt-tampa.com. Lockheed Martin (Tampa Bay plant) specializes in metal forming, fabrication and assembly of components for many of the company’s major programs: lockheedmartin.com. I’m especially looking forward to meeting with the local high school students to discuss the rewarding and challenging careers that manufacturing has to offer. Manufacturing career opportunities include engineers, designers, machinists, and computer programmers. The annual average salary of manufacturing workers is more than $77,000, which is approximately 17 percent more than similar workers employed in other sectors. For every $1.00 spent in manufacturing, the sector creates $1.32 for the U.S. economy. If you’re not in Tampa Bay, there are plenty of other opportunities for you to connect to your local manufacturing community, and I hope you’ll do so today. Moshtayeen Ahmed recently completed an internship in the International Trade Administration’s Office for Export Policy, Promotion, and Strategy. Ambient Technologies is a U.S. exporter providing support in environmental and engineering fields. Florida-based Ambient Technologies is one of many U.S. companies looking south and finding new business opportunities. Ambient provides a number of support services to companies and government organizations in environmental and engineering-related fields, including drilling, surveying, and mapping. With operations in Florida, the Gulf Coast, Central America, and the Caribbean, the business is well positioned to take advantage of opportunities throughout Central America. The Look South campaign is helping companies take advantage of abundant business opportunities that exist throughout Latin America. For Ambient, prime opportunities exist in Panama, where the company is supporting the Panama Canal expansion. “Over the past few years, our work with the Panama Canal expansion has continued to drive our export sales—and we expect to see even more opportunity,” said Ambient President and CEO Carlos Lemos. The growing economies of Latin America mean more opportunities for your business as well. U.S. free trade agreements in the region can also mean a simpler export process and lower costs of doing business. “The United States has 11 free trade agreements in Latin America, which is one reason we’ve been encouraging so many Florida business to look at those markets,” said Sandra Campbell, director of the International Trade Administration’s Export Assistance Center in Clearwater. If you’re ready to explore opportunities for your business in Latin America, visit your nearest Export Assistance Center or export.gov/looksouth. 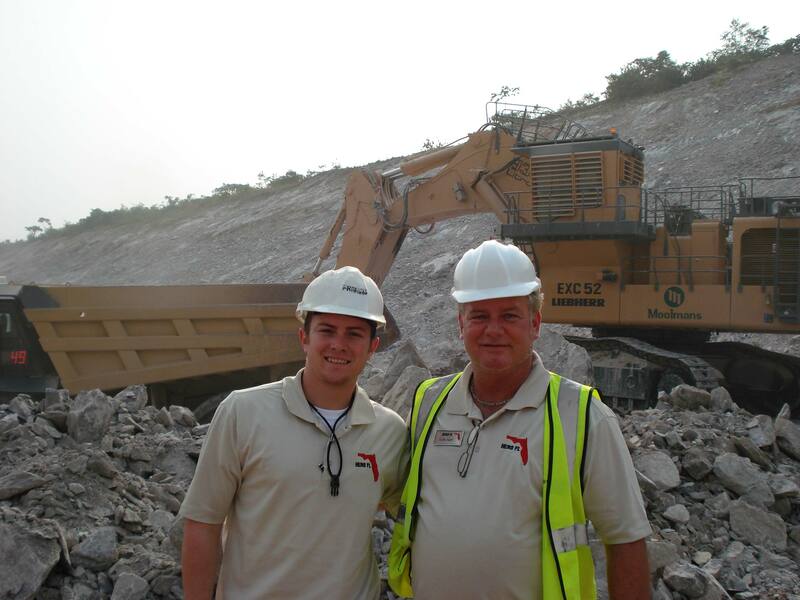 HERO Florida President Leslie Smith (right) stands in a gold mine in Ghana with his son, HERO Vice President Carlton Smith. Perpetually suntanned and jovial, Leslie Smith operated a successful commercial landscaping business for several decades. Then one day, he read an item in a local newsletter that caught his fancy. It was about exporting and how to do it. Four years later, he was in Washington, DC to accept a presidential award for excellence in exporting. Leslie and his company, HERO Florida, export heavy machinery and spare parts to multiple markets in Africa, South America and Central America. Barry: How did you get started in exporting? Smith: My son and I went to Export 101 put on by the Jacksonville, Fla. Port; the Chamber of Commerce; and the Department of Commerce. We took the knowledge from the course there and applied it to mining equipment, which is what we were interested in and believed we could make a business out of. So we went to Las Vegas to the big mining show that happens every four years. We decided to have a reception and invited all the commercial specialists from our embassies who were there with delegates from their countries. The delegates were buyers representing mining companies from around the world. And to our surprise 200 or 300 showed up, so it was really nice. And so we made a deal with an outfit there in Ghana and sold some equipment. And so that’s how we got started in the African market. Barry: Why did you decide to go to the export course in the first place? You had a good business. Smith: I don’t know. I just thought it was interesting. I read it in a business journal and I called my son into the office. “Carlton, this course on exporting, it looks interesting.” I always wanted to do something like that. I just thought it would be an opportunity to travel and spend time with my son who is also my business partner. Barry: How many countries are you in now? Smith: We’re in a bunch. I think probably 10, including Ghana, Nigeria on the west side, and then lots of South Africa – Botswana, Zambia, Tanzania and Namibia. Gosh, lots in that region. Barry: Were you concerned about the risks of doing business in some parts of Africa? Smith: Yeah, we really were. When we started we could do nothing more than cash and carry. People are not going to be able to open letters of credit and so forth, so it has to be cash and carry. And a lot of times they just don’t have the cash. So as things have progressed we’ve got help from the Export-Import Bank of the U.S., and we’re able to finance companies once they’re checked out through Ex-Im. So now we’re able to give companies terms. Barry: In addition to Ex-Im Bank, did you get help from other government agencies and programs? Smith: The Export Assistance Center of the U.S. Department of Commerce and the state of Florida through Enterprise Florida, those guys are great. I mean, they’re constantly – constantly bringing people to our office and trying to marry us with other people and inviting us to go on trade missions, and really doing their job. And if you’ve got a question, that’s where the support from the Commerce Department really comes in, because you can ask that question. And I would advise anyone that decides to get into the exporting business to use those resources because that’s what they’re there for. Barry: So one aspect of the help you received was the International Buyer Program show in Las Vegas? Smith: It’s the Mine Expo that only happens every four years. It’s the biggest in the world. 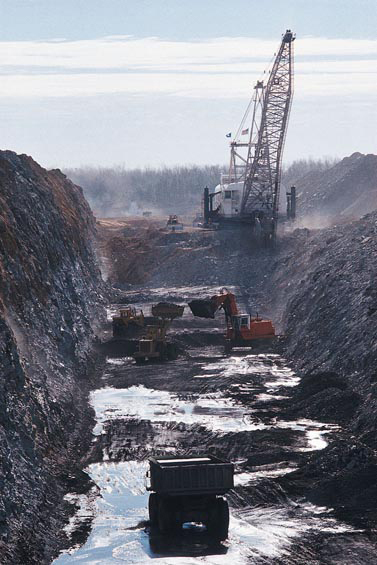 The U.S. Commercial Service brings buyer delegations from many different countries that have mining equipment needs. In 2008, they had brought delegations from – I mean, you name the country; they were there. So it was fortunate for us. Barry: What advice do you have for companies that aren’t exporting now? Smith: It’s the American dream. It’s the entrepreneurial spirit. You go out there and you get it. I’ve always been in my own business, so it’s a lot of fun. And then I think my son thinks the same way, and his friends. If you want to travel and you want to do something exciting –I would take as many classes and talk to as many people like me as I could before I just jumped off the cliff. Otherwise, you could spend a lot of money and not go anywhere. You need to do your homework. You need to use all the resources that the Commerce Department has to offer, because they have a lot. A lot. And maybe start out slow and go on some of these (Commerce Department or state government) trade missions and do it like that. And number one, have a good product—one that sells. 2010 saw Miami named the fifth largest metropolitan export market in the United States, with merchandise shipments totaling $35.9 billion. 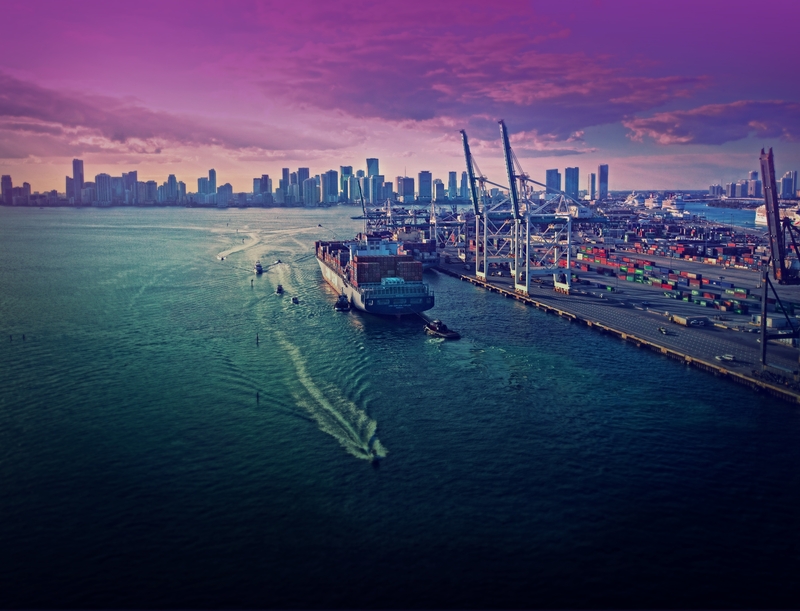 Helping to build on that strong performance, the Department of Commerce has announced the approval of PortMiami’s application for a Foreign Trade Zone(FTZ) that will not only serve the port’s facilities but allow quick FTZ access throughout the northern half of Miami-Dade County. As a result, the new FTZ will be able to help support trade-related activity and jobs at many South Florida businesses. For purposes of customs duties, FTZs are treated as if outside U.S. territory. All goods entering the FTZs remain tariff free, with exports shipped from zones avoiding duty payments while shipments to the U.S. market only face duties when they leave the zones. So, for example, if a South Florida business sells both U.S. and foreign-made products to customers around the world, that business can use the FTZ to receive, warehouse and re-export products duty-free, reducing its costs and helping it to compete better with foreign-based rivals. In addition to ordinary FTZ activities like storage, packaging, testing, labeling and repairing, businesses can conduct manufacturing in FTZs after a case-by-case approval process conducted by the U.S. FTZ Board (which has authority to bar activity that would not be in the public interest). U.S. Customs and Border Protection oversees all companies using FTZs to ensure that security and accounting requirements are met. There are already nearly twenty foreign trade zones across the state, and the new FTZ in Miami is sure to boost investment and commercial activity in Florida. While the state had many profitable shipping centers and hubs, Miami alone accounted for two-thirds of all of the state’s merchandise exports in 2010 while 14 percent of all manufacturing workers in Florida depended on exports for their jobs in 2009. That’s a lot of valuable jobs that can help contribute to our economic recovery, and underscores just how important exports are to the Floridian and national economies. The new Miami FTZ will provide Florida business with enhanced opportunities to minimize costs as they conduct international trade. To learn more about FTZs in Florida or anywhere else across the country, as well as to find information about other key tools for U.S. exporters, I encourage you to visit our website, www.trade.gov. Greg Bell is a writer in the Intenrational Trade Adminsitraiton’s Office of Public Affairs. That’s what Under Secretary for Commerce, Francisco Sánchez, wrote in an op-ed that appeared in today’s Miami Herald. In it, he stressed the important role that exports play in strengthening the economy and supporting jobs for American workers. In fact, for every billion in goods exported abroad, more than 5500 jobs are supported here at home. Sánchez’s opinion piece comes on the heels of President Obama’s announcement earlier this week that he has sent three pending trade agreements to Congress for approval. If ratified, the agreements – with South Korea, Colombia and Panama – would support tens of thousands more jobs, and increase the U.S. GDP by billions of dollars. The full article is available at The Miami Herald. Graylin Presbury has been with the International Trade Administration for 30 years. He has spent the last five years in the U.S. & Foreign Commercial Service (USFCS) as a Project Officer in the Global Trade Programs unit. I had the privilege of being the project officer for InfoComm09, the world’s premier annual B2B conference and exposition for the professional audiovisual information communications industry. It alternates annually between the east and west coasts of the United States. Both the weather and the technology were hot last month in Orlando at InfoComm09. The conference, held June 14-19, had more than 300 educational workshops and seminars, and the exhibition, held June 17-19, had roughly 850 exhibitors and more than 28,000 attendees, making this the biggest east cost show in its history. The International Business Center (IBC) provided a one-stop shop for U.S. Government assistance at the show. The IBC featured International Trade Administration (ITA) export and industry experts as well as representatives from the Export-Import Bank and the Small Business Administration. As a project officer, I particularly appreciated having the support of ITA’s Global Information and Communications Technology (ICT) Team. Through the ICT Team and the USFCS International Buyer Program, we brought in nearly 500 delegates from 27 countries, including delegations from Argentina, Brazil, Columbia, Ecuador, Egypt, France, Mexico, Norway, the United Kingdom, and Uruguay. Additional ICT Team support came from trade staff in our U.S. Export Assistance Centers in Austin, TX; New York; Clearwater, FL; and Portland, OR, which included outreach and export counseling to exhibitors from their states and regions. The ICT Team was instrumental to our success and the quality of services we delivered. Aside from the 20 or so U.S. exhibitors and attendees who visited the IBC, there were about 35 U.S. exhibitors that scheduled 130 appointments as part of the ICT Team’s Showtime program. In addition to the market counseling provided by USFCS overseas staff, ITA industry experts informed participants about market trends, trade policy and regulatory issues. Representatives from the Export-Import Bank and the Small Business Administration counseled exhibitors about loan guarantee programs, business development assistance and export credit insurance. To read more about the International Buyer Program, please visit http://www.export.gov/IBP.